DeBlanco is a professional wedding car and limousine hire service located in Sydney, New South Wales. We are passionate about providing a high quality car hire experience that will see you travel between destinations in comfort and safety. Since 1999, DeBlanco has been providing a stylish, elegant and impeccable transportation service, that may be personalised to suit each customers’ occasion or taste. 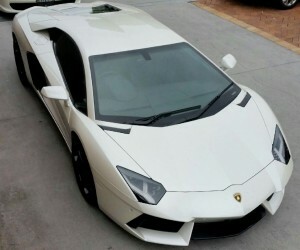 DeBlanco has a variety of luxury vehicles for hire, including the only one in Sydney 2012 White Lamborghini Gallardo convertible. The prestigious Lamborghini Gallardo convertible is elegantly designed and guarantees an unforgettable transportation experience. We have the ability to offer additional services such as uniformed chauffeurs, female drivers, red carpet, white ribbon, champagne and refreshments, tyre covers for dress protection, black and white umbrellas, radio linked vehicles and more. 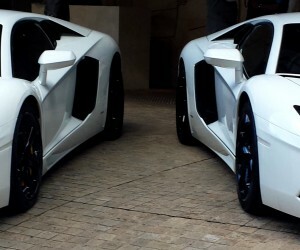 Our convertible Lamborghini Gillardo is able to travel between a wide range of locations in Sydney and surrounding areas, including North Shore, Western, Eastern, Southern Suburbs and Hills District. For your convenience, we also service the Central Coast, Newcastle, Hunter Valley, Illawarra areas and Wollongong. At DeBlanco, we are committed to finding the very best transport solution for your special occasion. We personally quote every Lamborghini convertible reservation to ensure that your journey is unique, memorable and most importantly, pleasurable. We believe that every special occasion that requires tasteful, sophisticated transportation isn’t complete without DeBlanco. Complete our online form or call DeBlanco on 0416 160 166 today to arrange for your Lamborghini convertible reservation in Sydney.